Next to Christmas, Thanksgiving has always been my favorite holiday, as it was one of the few times of year my entire extended family (25+ aunts, uncles and cousins) got together in the spirit of fellowship. The family has shrunk over the years– my beloved grandparents, my father, and Uncle Steve passed on, while other members became estranged. 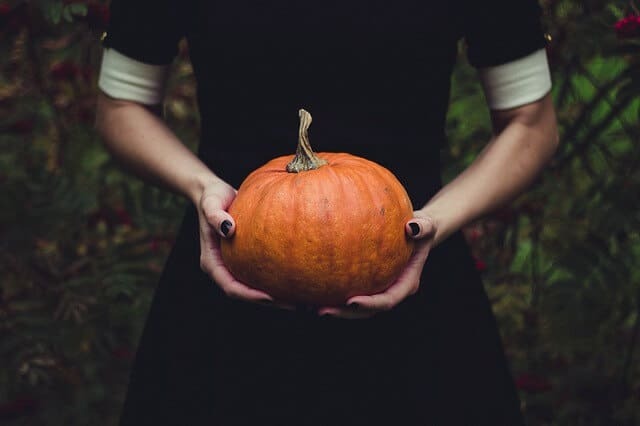 But we still look forward to our annual traditions, from watching the Macy’s Thanksgiving Day Parade to savoring my favorite dish, a pecan-crusted sweet potato souffle. 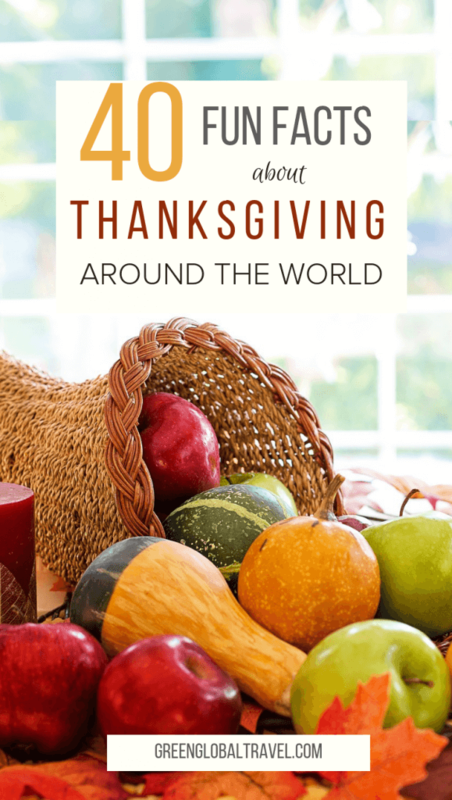 So we thought it might be fun to learn some fun facts about Thanksgiving history and the various ways of celebrating Thanksgiving around the world. 1. The idea of an annual harvest celebration also dates back to ancient Greece. The 3-day autumn festival known as Thesmophoriawas celebrated to honor the Goddess Demeter, the deity of food grains. Fertile married women would build a home for Demeter to stay in the first day, purified their bodies and souls by keeping a fast on the second day in her honor, and on the third day prepared a great feast including seasonal fruits, plump pigs, corn delicacies and yummy cakes. 3. In Greek mythology, the cornucopia was an enchanted severed goat’s horn, created by Zeus to produce a never-ending supply of whatever the owner desires. Think of it as an unsexy genie, without the whole “3 Wishes” limitations. 4. 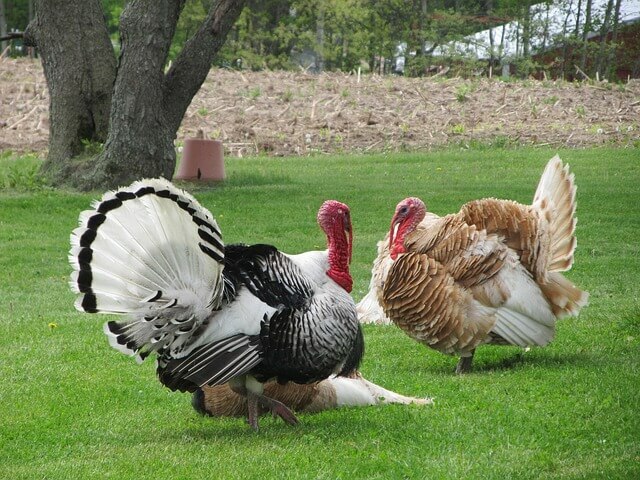 The given name of the turkey comes from the Middle Eastern country, from which they were imported to America. But archaeological evidence shows that these birds roamed in the Americas some 10 million years ago. Known in their native language as huexoloti, wild turkey was an important food source for the Aztecs. Their domesticated cousins became popular among the early English settlers in part due to their appetite for the pests that preyed on tobacco plants. 5. When the Spanish invaders took the bird back to market in Spain, traders took the bird into what was then the world’s most powerful empire, the Ottoman Empire (Turkey). There, the bird was bred to become more plump, like the turkey most of us eat on Thanksgiving today. 6. 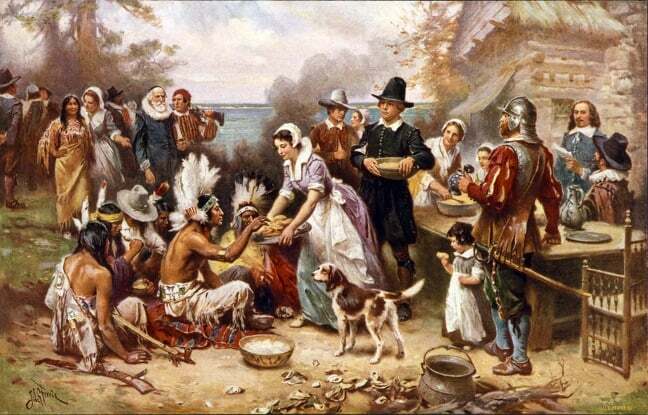 Though the 1621 shindig between the Pilgrims and Native Americans is widely accepted as “the first Thanksgiving,” some historians believe that the first American Thanksgiving took place upon Juan Ponce De Leon’s landing in Florida in 1513, or Francisco Vásquez de Coronado’s service of Thanksgiving in the Texas Panhandle in 1541. There are also two claims re: Thanksgiving observances taking place in Jamestown, Virginia, in 1607 and 1610. 7. What most people think of as “the first Thanksgiving”– the famed 1621 meal between the British settlers and the indigenous Wampanoag– was actually a three-day celebration. And while turkey may have been among the many dishes on the menu, it was not the centerpiece of the meal. The hospitable natives welcomed the English immigrants with venison (five deer in total), corn, and oysters, which were staples of the Wampanoag diet. 8. America’s first President, George Washington, revived the holiday tradition in America by designating special days for a national Thanksgiving. 9. As Revolutionary War veterans died off, the Thanksgiving tradition was lost in America for a number of years until President Abraham Lincoln declared Thanksgiving a national holiday, to be held the last Thursday in November, in 1863 (during the height of the Civil War). 10. For almost 80 years Thanksgiving was simply a tradition in the United States. It officially became a national holiday in 1941, when the U.S. Congress passed legislation signed by President Franklin Roosevelt. 11. Writer/editor Sarah Joseph Hale is best known as the composer of the classic children’s song “Mary Had a Little Lamb.” But she should also be known as the woman who saved Thanksgiving! Hale was instrumental in convincing Lincoln to declare Thanksgiving as a national holiday in 1863. She wrote numerous articles and personal letters to the President about the significance of the holiday. 12. Pilgrims are typically portrayed in stark black and white clothing, with big buckles and hats. But buckles didn’t come into fashion until the late 17th century, and pilgrims primarily wore black-and-white clothes on Sunday. 13. In reality, pilgrim women dressed in red, green, brown, violet, blue or gray, while men wore white, beige, black, green and brown. 14. One of the strangest Thanksgiving traditions is the presidential pardon of one fortunate fowl. President George H.W. Bush was the first to do so in 1989, and the annual custom is still upheld today. Even weirder is the adventures the pardoned turkeys have had: The 2005 and 2009 turkeys served as grand marshal in the annual Thanksgiving Dad parades at Disneyland and Walt Disney World, while the 2010 to 2013 turkeys got a vacation to George Washington’s Mount Vernon Estate (now a living history museum)! 15. Here’s a fun Thanksgiving fact: Did you know that a holiday-related screw-up led to the creation of the first TV dinners? Back in 1953, an unnamed employee of Swanson accidentally ordered 260 TONS of turkey– much more than was needed for the Thanksgiving rush. But savvy sales rep Gerry Thomas suggested filling 5,000 aluminum trays with turkey, dressing, gravy, peas, and sweet potatoes to create an easy-to-heat meal. The first TV dinners cost just 98 cents, and sold over 10 million in the first year! 16. The annual holiday event many of us grew up watching every Thanksgiving morning was originally known as the Macy’s Christmas Parade. It debuted in 1924 and was essentially a promotional gimmick to celebrate the expansion of the retail giant’s flagship store in Manhattan. Covering an entire city block on 34th Street, between 6th and 7th Avenue, it became the self-proclaimed “World’s Largest Store.” It was finally surpassed in size in 2009 by Shinsegae in Busan, Korea. 18. 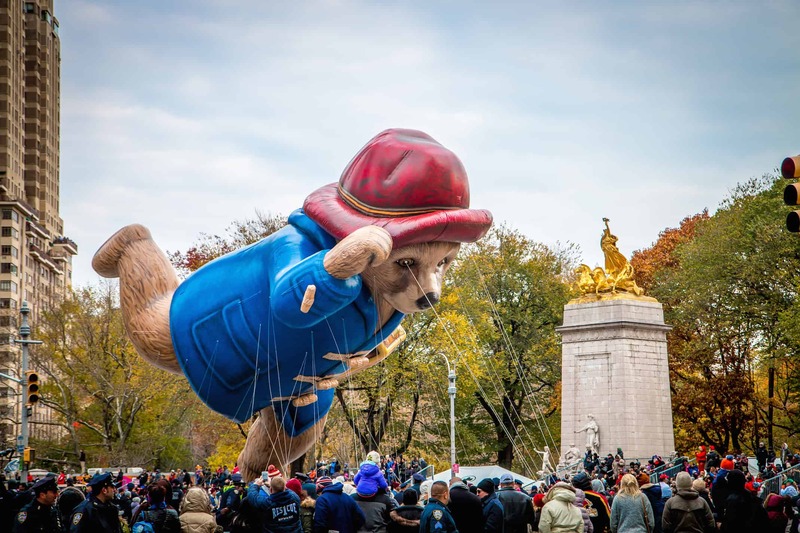 If you’re among the approximately 44 million people who love watching the Macy’s Parade on TV every year now, thank Tony Sarg. The children’s book illustrator and puppeteer designed the first giant hot air balloons used in the 1927 Macy’s Thanksgiving Day Parade, which included a “human behemoth,” dinosaur, dachshund, and Felix The Cat. He also created the first mechanically animated Christmas window displays that grace Macy’s storefront throughout the holiday season. 19. Not everyone loved the Macy’s parade in those early days. An organization known as the Allied Patriotic Societies protested, arguing that the event was overly commercial and would interfere with Thanksgiving Day worship. The association went to the NYC police commissioner and asked him to revoke the parade permit, but failed. The parade was held annually every year until World War II, when it was cancelled from 1942 to 1944 due to helium and rubber shortages in the US. 20. For several years, Macy’s simply released the balloons (which now cost $190,000 to create and $90,000 a year to maintain) into the air after the parade ended. Starting in 1928, there was a race to recover them because the company offered a $100 reward. Tug of war fights broke out (the first Black Friday? ), and the practice was ended in 1932 after a student pilot nearly crashed her plane in an effort to retrieve a balloon in mid-air. 21. 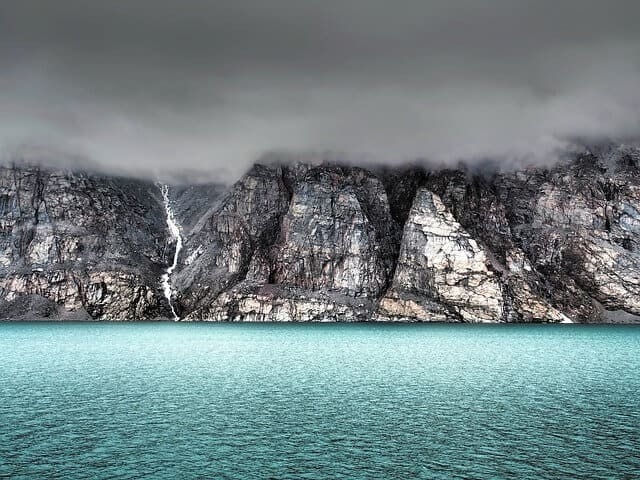 Canada’s first Thanksgiving (celebrated the second Monday in October) can be traced back to 1578, when explorer Martin Frobisher– who had been trying to find a northern passage to the Pacific Ocean– held a celebration on Baffin Island (present-day Nunavut) to give thanks to God for surviving the long journey from England through storms and icebergs. 22. 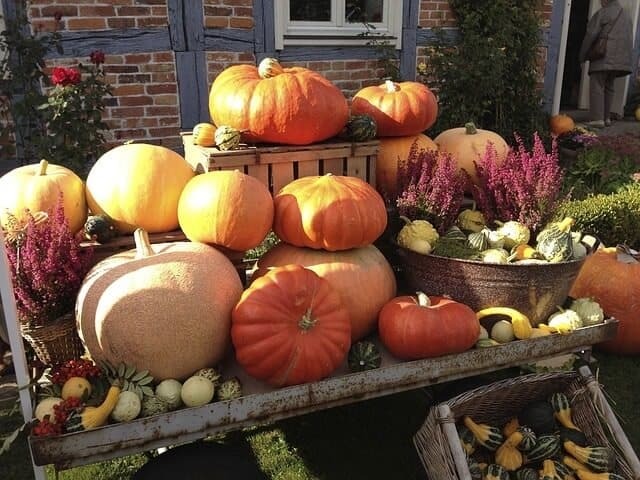 Germany’s early October festival is called Erntedankfest, or the Harvest Thanksgiving Festival. The celebration has a religious component, but, like its American counterpart, includes substantial harvest dinners and parades. The Bavarian beer festival, Oktoberfest, generally takes place close to Erntedankfest. Hmm… maybe combining Oktoberfest and Thanksgiving in the US wouldn’t be such a bad idea! 23. 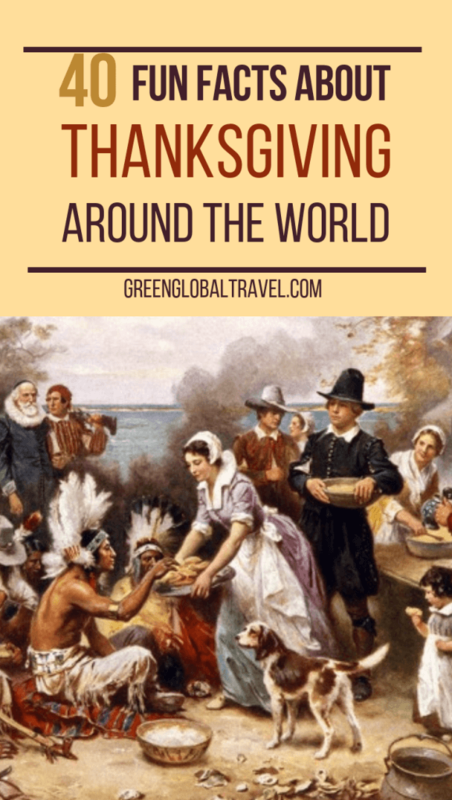 Observed on October 25 on the Caribbean island nation of Grenada, the national holiday known as Thanksgiving Day is completely unrelated to the traditional American celebration. Instead, the holiday commemorates the anniversary of the U.S.-led invasion of the island in 1983, which was launched in response to the deposition and execution of Grenadian Prime Minister Maurice Bishop. 24. Officially known as Labor Thanksgiving Day, this Japanese national holiday dates back to the time of Emperor Jimmu, who reigned over the country from 660-585 BCE. The modern version was established in 1948, after the end of World War II. 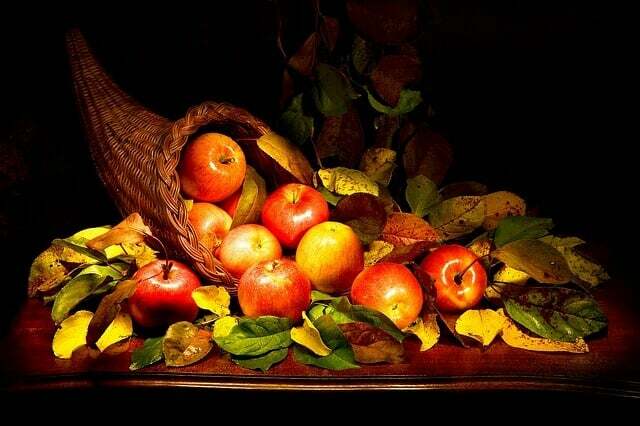 Celebrated annually on November 23, the holiday commemorates labor, production, and giving thanks. It’s also considered a time for thinking about the environment, human rights, and peace. Events such as the Nagano Labor Festival are held throughout the country, and school kids often draw pictures as gifts for local police stations. 25. Thanksgiving in Liberia is traditionally observed on the first Thursday in November. The holiday started in 1820, when formerly enslaved Africans from America started colonizing the West African country. But their Thanksgiving menu is different, focusing on flavors endemic to the region. Instead of turkey and stuffing, Liberians love dishes such as mashed cassavas, green bean casserole, and roasted chicken. Sometimes they’ll add a little heat to their dishes, using cayenne pepper and other intense spices. 26. 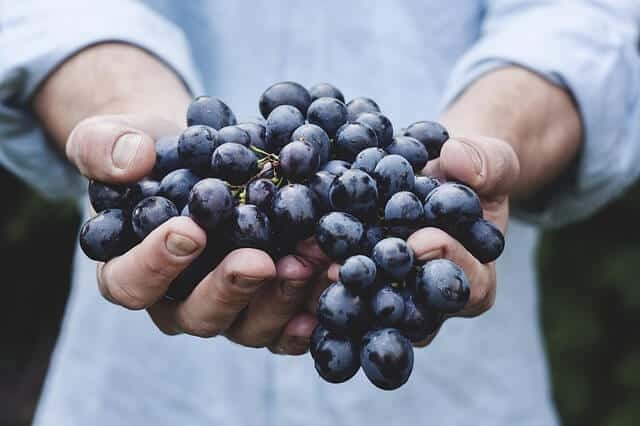 Argentina’s wine is world renowned for its terroir, so perhaps it’s no surprise that this “Grape Harvest Festival” is the most popular celebration in the Mendoza province. The Fiesta Nacional de la Vendimia, which lasts for 10 days in the first week of March, is a celebration of wine, winemakers, and wine culture. Dating back to the 17th century, with the first official celebration held in 1936, the festival features nightly parades, hundreds of performers, the selection of a National Vendimia Queen, and a huge fireworks display. 27. Chung Ch’ui is a 3-day harvest festival in China, which is celebrated on the full moon day of the 8th Chinese month and was believed to be the birthday of the moon. 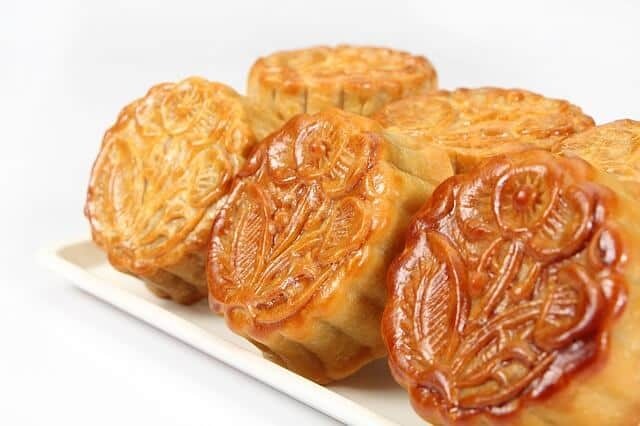 The culinary specialty of the festival is round, yellow “moon cakes” (usually made with an image of a rabbit on them), and the Chung Ch’ui feast features roasted pigs and the first fruits of the harvest. Chinese legend holds that anyone who sees flowers falling from the moon on this day will be blessed with a good fortune. 28. Another wine-themed celebration, this European harvest holiday dates back to ancient times, with roots in mid-Autumn festivals of abundance. Today Rtveli is celebrated for several days in late September in the country’s eastern region, and in mid-October in the west. 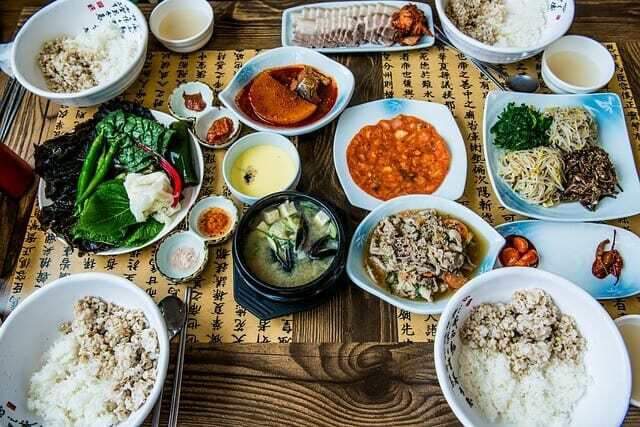 Rural people will usually start working very early in the morning to complete their chores, then end each day with a grand feast accompanied by traditional folk music. 29. Designed to give thanks to nature for its beauty and bounty, this 4-day harvest festival is one of Southern India’s most important Hindu celebrations of the year. Pongal dates back several centuries, with people celebrating cattle, family, and the various Hindu gods. The festival’s third day is for feasting on a meal that usually includes jaggery (dark brown sugar made from the evaporated sap of a palm tree), lentils, and rice. 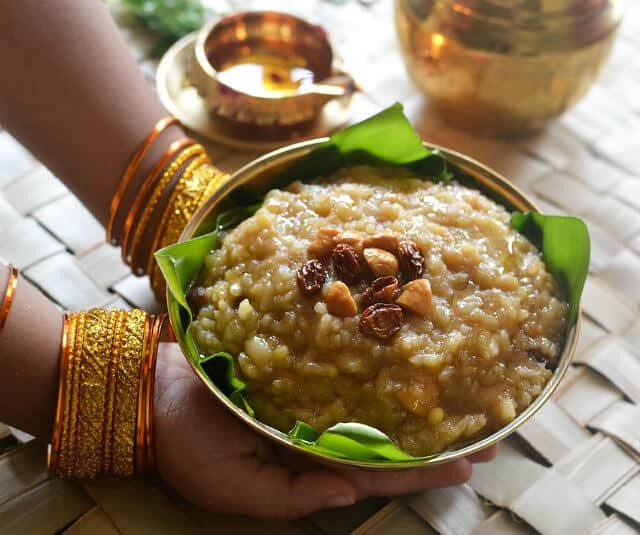 The holiday’s traditional dessert– made with rice, milk, and jaggery– is also called Pongal. 30. 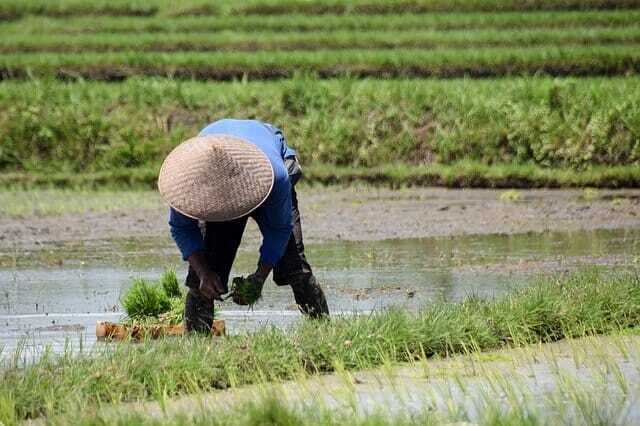 Marking the end of the harvest season, the Rice Harvest Festival is held in locations throughout Bali every year in May. The celebration honors Dewi Sri, the goddess of fertility believed to watch over Bali’s staple crop. Villages are decorated with colorful flags, small dolls made from rice stalks are created as offerings, and bamboo temples are erected in the corners of rice fields. The Negara Bull Races, in which water buffaloes race in ornately decorated headdresses, marks the end of the festival in Perancak. 31. 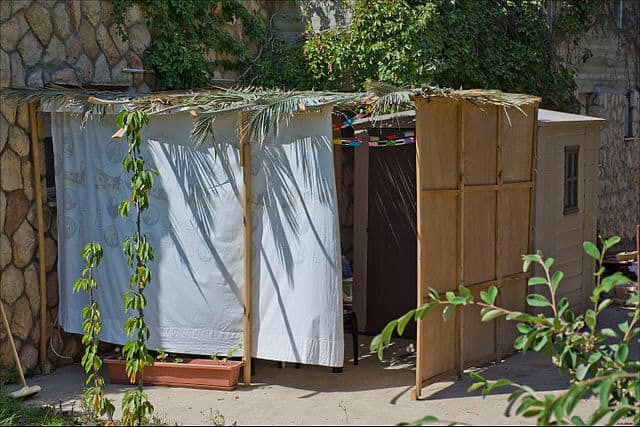 Israel’s autumn harvest festival, Sukkoth, is also known as Hag ha Succot (“The Feast of the Tabernacles”) and Hag ha Asif (“The Feast of Ingathering”). This festival, which lasts 8 days, reminds people of the hardships suffered by Moses and the Israelites when they wandered in the desert for 40 years. Succots were makeshift huts or tents built of branches that symbolized the tabernacles of their ancestors, and were used to hang fruits such as apples, grapes and pomegranates. 32. 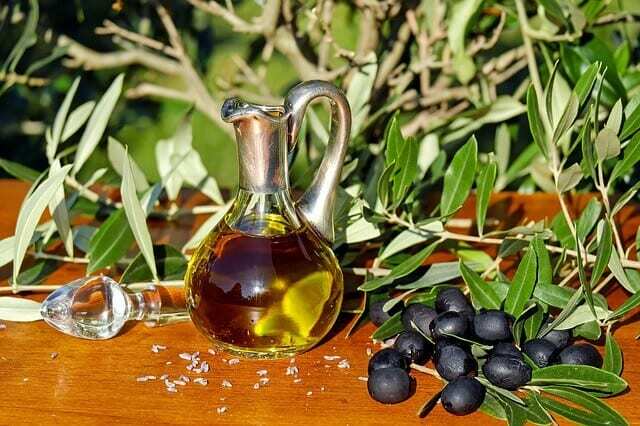 Italy is the olive oil capital of the world, and the Trasimeno region (approximately 15 miles west of Perugia) is said to be home to the very best EVOO. The two-day Olivagando Festival is held in Magione annually, celebrating both the olive harvest and the feast of St. Clement. Ranked among the Top 10 Harvest Festivals in the World by National Geographic, it’s a celebration of the olive oil industry, with growers, processors, and consumers all coming together. After a priest blesses the new oil of La Dolce Agogia (olives so fine that none are exported), the community celebrates with a massive medieval-style feast at its 12th century castle. 33. Korea’s Thanksgiving celebration, Chu-Sok (“fall evening”), begins in August 14th and last 3 days. This annual harvest festival is celebrated to honor elders: Families visit the ancestral properties in their hometowns, and hold memorial services at grave sites of their forefathers. Afterwards, they have a special meal full of freshly harvested foods to give thanks. 34. 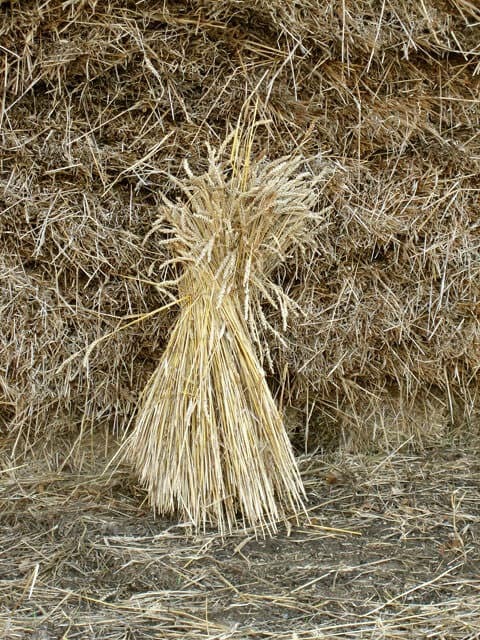 In Lithuania, the Nubaigai harvest festival tradition involves the communal creation of a harvest “Boba” from the last sheaf of grain. Decorated with ribbons and flowers to honor the goddess of the harvest, the boba often looks like an old woman. A second tradition is to make a wreath which is then carried on a plate covered with a white linen cloth. As the procession moves on, people who reaped the harvest sing an old song that tells of how they rescued the crop from a huge bison that tried to devour it. 35. Known locally as Iwa ji (“new yam eating”), this celebration is held by Nigeria’s agrarian Igbo people at the end of the rainy season in early August. Yam is by far the region’s most important crop, and the New Yam Festival pays tribute to its annual harvest. The night before the celebrations begin, Igbo families will traditionally eat or throw away any old yams from the previous year’s crop. 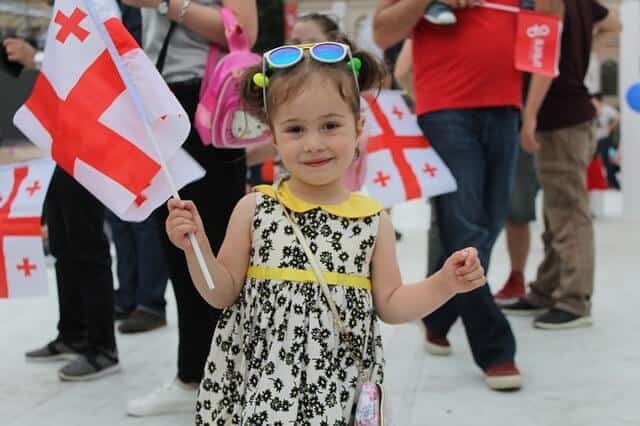 The celebrations may last a day or a week, and include ceremonial rights conducted by elders, cultural performances, fashion parades, and more. 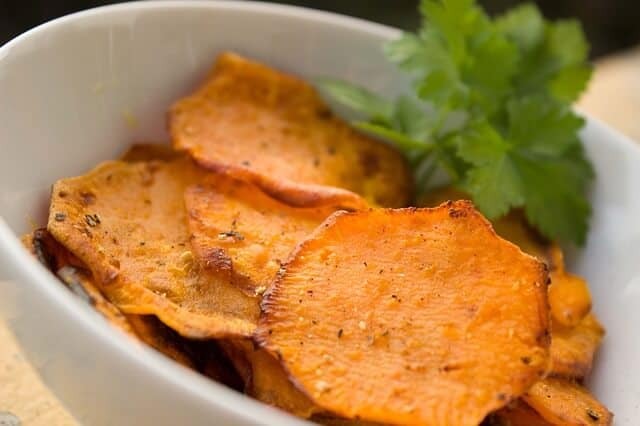 Meals consist only of yam-based dishes, with the freshest, tastiest yams used to create them. 36. 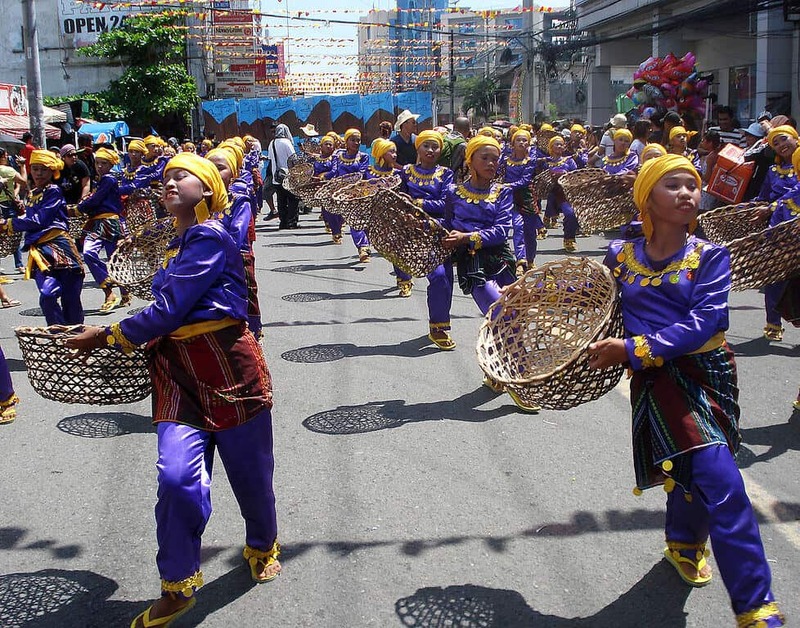 Held in the Filipino city of Davao, the Kadayawan Festival is named after a friendly local greeting (“Madayaw”), which can mean valuable, superior, or beautiful. Held every year in the third week of August, the week-long festival celebrates life and gives thanks for the blessings of nature, cultural wealth, and the bountiful harvest. There are rituals to give thanks to divine protectors (including the Supreme Being, Manama, and a moon deity named Bulan), music, floral floats, street dancing competitions, and more. 37. Where most of the harvest festivals on this list celebrate foods, this 2-week festival is all about the flowers of Spring. 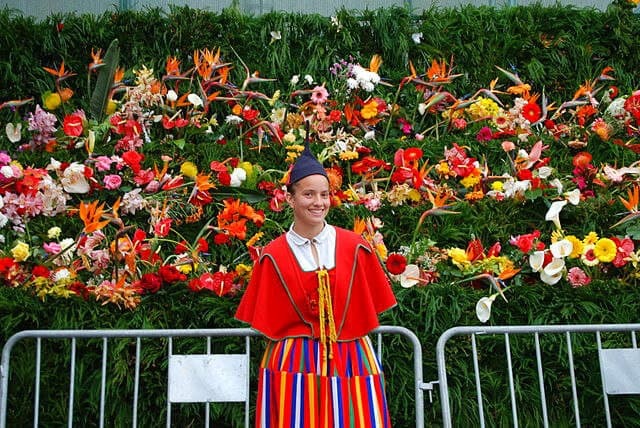 Held every May in the southern city of Funchal, the Madeira Flower Festival fills the air with fragrance and the streets with color. The celebration begins on Saturday, when kids bring blossoms to the Praça do Município and help create the colorful Muro da Esperança (Wall of Hope). Intricate flower carpets line the streets as decorated floats drive by in Sunday’s Flower Parade, and there are competitions to find the most artfully decorated shop windows as well. 38. Incwala is another fruity festival, this one celebrating the harvest of Swaziland’s first fruits of the season. But this one’s not new: It actually dates back to the ancient tribal era, when Swaziland was still considered part of South Africa. Arguably the most important cultural event in the country, Incwala is celebrated for six days in the last week of December or the first week of January. In addition to tasting the fresh fruits, the African harvest festival includes music, dancing, and ancient tribal rituals led by the king. 39. The newest (and arguably weirdest) harvest festival on this list, Melon Day was established in 1994 by Turkmenistan’s president, Saparmurat “Turkmenbashi” Niyazov. Observed on the second Sunday of August, the festival celebrates the Turkmenbashi melon, which was obviously named in the leader’s honor. This muskmelon has been praised (particularly by Niyazov) for its aroma, large size, and flavor. 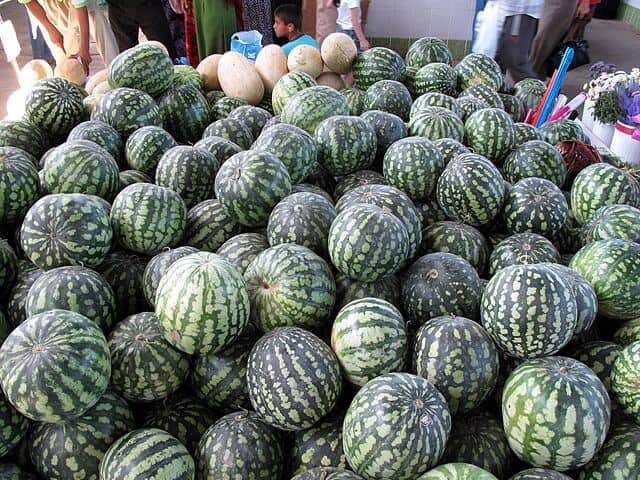 The celebration, which is held in the capital city of Ashgabat, includes dancing, music, and an artful display of every possible muskmelon variety you can imagine. 40. 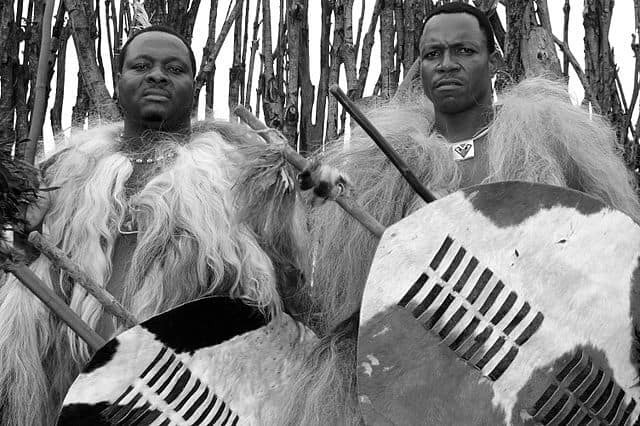 Not to be confused with the Incwala Festival of Swaziland, this festival for Zambia’s Ngoni people is held every year in February. It celebrates the first harvest of the year, as well as the arrival of their ancestors to Zambia in 1835. 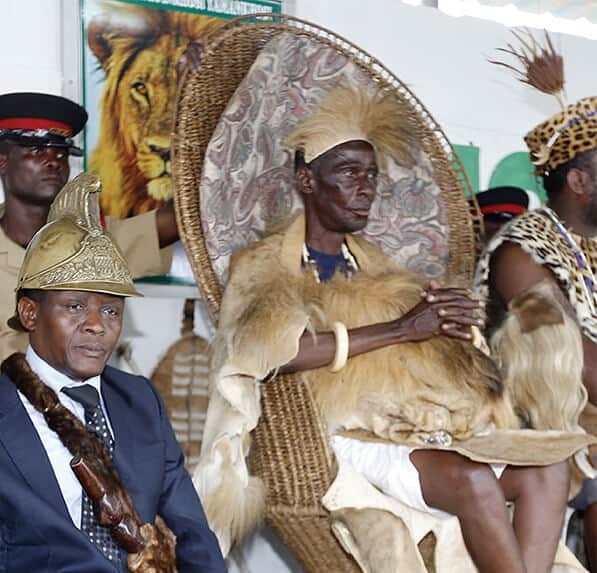 To honor the occasion, a dozen local chieftains make a pilgrimage to Mutenguleni Village: There, their best dancers compete in elaborate outfits and headdresses made from animal hides. Real Xmas Tree vs Fake Xmas Trees: Which Is Better For the Environment?